Zucchini, butternut squash, and pumpkins don’t just look pretty on the outside; all of these gourds also offer something pretty tasty on the inside. With a low glycemic index, tons of antioxidants and vitamins, and creative uses, they can add something special to most diets. 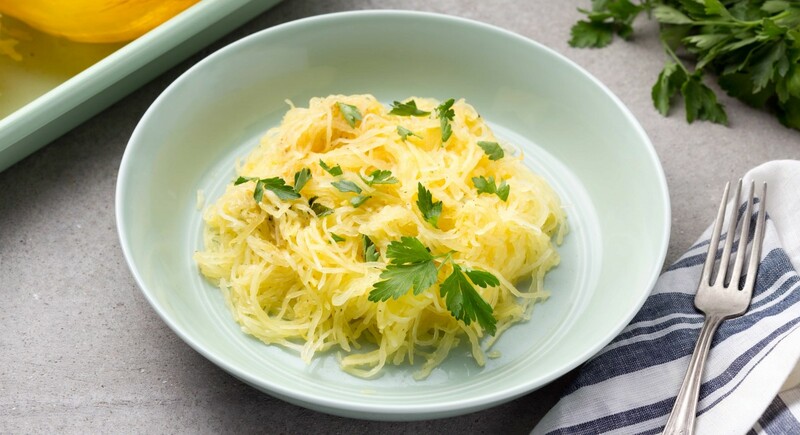 Spaghetti squash is one of the more interesting varieties, named as such because its flesh pulls off in long strands that resemble spaghetti—and, with a mild taste, it can also be used as a substitute for the starchy noodles for anyone that’s focused on eating gluten-free or carb-light. A low calorie meal: With just 30 calories in one cup, spaghetti squash helps cut down on total calorie intake, which can help lead to weight loss success. Antioxidant-rich: This squash is loaded with antioxidants like vitamin C and vitamin A that fight free radicals that can damage cellular walls. This helps boost immune system function and can help stave off diseases. Full of B vitamins: In particular, spaghetti squash has tons of vitamin B6, riboflavin (aka B2) and niacin (aka B3), all of which are essential for metabolic function since they help convert food into usable energy. Contains beta-carotene: This is the same plant compound in other orange-hued vegetables and fruits that can improve overall vision health. High levels of potassium: This mineral can help regulate blood pressure and promote better total cardiovascular health. Good source of folate: It’s one of the most essential vitamins for pregnant women because it supports cell development and can cut down on the risk of birth defects. Anti-inflammatory properties: The powerful omega-6 and omega-3 fatty acids inside spaghetti squash can cut down on systemic and chronic inflammation, which can reduce symptoms of arthritis. Hypoglycemic impact: Unlike other carb-heavy foods that can cause spikes to blood sugar levels, eating a low-glycemic food like spaghetti squash will keep levels consistent and, in the long run, can reduce the risk for developing diabetes. Cut the squash in half using a sharp knife. The gourd’s skin is incredibly tough, so it’s best to begin by scoring a line around the squash and then microwaving for about five minutes to soften. This will make it easier to cut into it (use the pre-scored lines as your guide). Scoop out the seeds. Carefully separate the seeds from the yellow flesh of the squash, and leave the meat inside the shell. 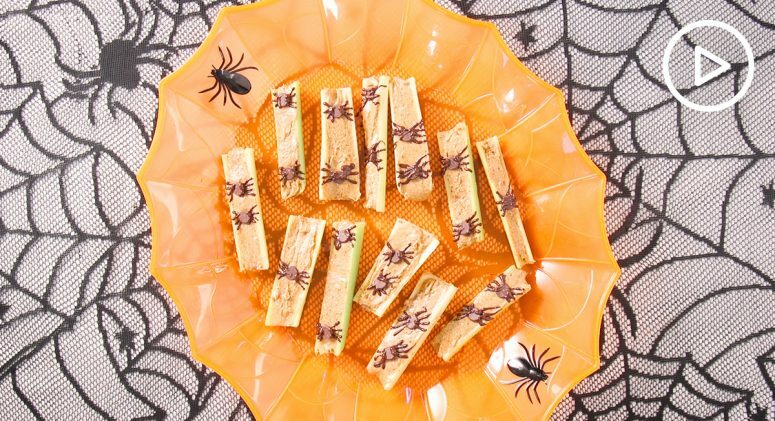 Place the seeds on a baking sheet and roast them in the oven, like you would do at Halloween, for an additional healthy snack. 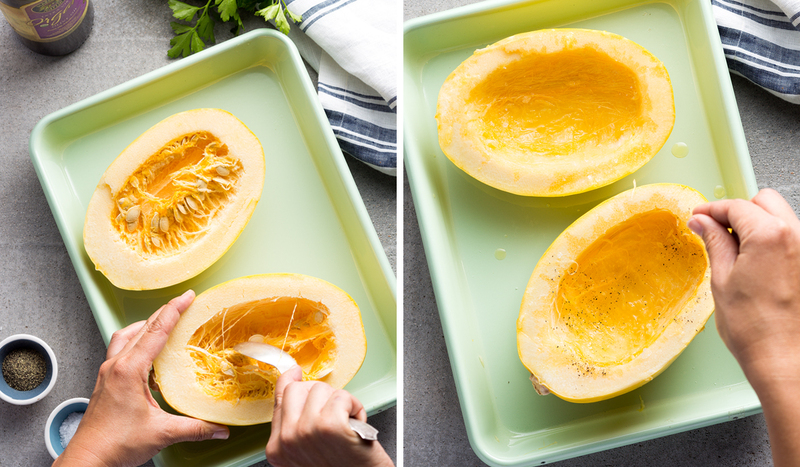 Prepare the squash for baking. Place a small amount of olive oil in the bottom of an oven-safe glass dish. Place the squash halves face down and roast at 375 degrees Fahrenheit for about a half-hour. Let it cool. Once the roasting process is finished, pull the squash out of the oven and allow to cool for a bit. Once cooled, use a fork to rake over the meat going in the direction of the grain. This will create the noodle-like appearance that gives spaghetti squash its name. Once the squash is prepared, you can enjoy it the same night. As well, it can keep in the fridge for about a week, or you can package and keep frozen for as long as a month. The squash is great on its own as a side dish, topped with a favorite pasta sauce, or used in some of the delicious recipes below. The beauty of spaghetti squash is that it allows a completely gluten-free and carb-free way to replace traditional noodles. Go for a trusted standby: Top with some hearty tomato sauce (try our seven tips for spicing it up) and grated parmesan cheese, and serve with homemade garlic bread and salad. Get exotic: Or you can use spaghetti squash as a stand-in for rice or noodles in Asian dishes like stir-fry and Pad Thai (just add chicken, mushrooms, sliced onion, peanut butter, cilantro, lime juice, soy sauce, green onion, and peanuts for a low-carb take on the popular dish). Serve it cold: Toss your cooked squash with sliced red pepper, feta cheese, and zucchini for a refreshing and delicious “pasta” salad that’s perfect for summertime barbeques, picnics, or cookouts. You can also change up the ingredients to make this simple dish all your own. Make a dough: You can even transform spaghetti squash into a healthy alternative for pizza crust. To do so, strain out the squash’s excess moisture and mix with mozzarella cheese, one egg, salt and pepper, and a bit of garlic. Roll out into a circular pizza pan and then bake until crisp and sturdy. Top with tomato paste, more cheese, and any toppings you desire. Ready to get creative with your squash? Try one of these seven recipes. Here’s your classic Italian dinner. Start with a bed of warm spaghetti squash and then top the plate with a few of these meatballs made with ground turkey, onion, sage, and dried cranberries and pine nuts for a more flavorful punch. Though the recipe calls for drizzling the noodles with just olive oil, you can also add some marinara on top to make it complete. Though, instead of soba noodles, use spaghetti squash for a carb-free option. This Asian-inspired dish combines the superfood punch of edamame with crunchy roasted radishes. Grated ginger, minced chives, and sesame seeds adds more complexity while sesame oil, butter, and salt give it more flavor. This Mediterranean-inspired dish tastes just as good with spaghetti squash. Load up a plate with a bed of “noodles” and then top with fresh cannellini beans, onions, parsley, and mint leaves. Finish off the mixture with olive oil, minced garlic, lemon juice, and ground allspice. Divine is one way to describe this delicious dish. The unmistakable taste and creaminess of goat cheese blends incredibly well with soft and sweet figs. Replace the quinoa pasta with spaghetti squash for even milder taste that lets the other ingredients really stand out. A few fresh herbs and walnuts help round out the meal. Get your gourmet pasta fix at home with this simple recipe. Start with a bed of spaghetti squash, saute some cremini mushrooms in ghee with fresh rosemary, poach some eggs, and voila! You have yourself an unforgettable dinner for one—or to impress a group at your next dinner party. 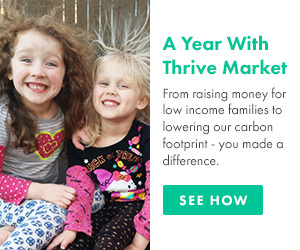 Instead of the traditional basil pesto, this version is made using the superfood kale, combined with hemp seeds (instead of the traditional pine nuts). Doing so provides a big boost of omega-3 fatty acids and a solid amount of antioxidants. And when you use spaghetti squash instead of plain noodles, the nutritional content increases even more. Chicken noodle soup may be good for the soul, but this spaghetti squash noodle soup is good for the whole body. 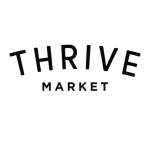 This take on the classic adds lemon and ginger to the broth alongside boneless chicken meat and a range of colorful veggies like carrots, turnips, zucchini, and mushrooms. Even a simple mix of spaghetti squash with a hearty sauce can be a filling meal. It’s easy to add roasted veggies, meats, and other ingredients as well, but here are some sauces to lay the foundation. Made using only six ingredients—most all of which are grown on biodynamic farms—this organic pasta sauce provides a rich tomato taste without any added preservatives or colors. Another great Asian-inspired option, this spicy sauce provides big curry taste and adds authentic flavor for making Thai dishes. Made from completely organic ingredients and filled with the delicious taste of tomatoes and basil, this classic marinara is ideal for any spaghetti squash recipe.